Housse de Racket in Montreal or Quebec City? 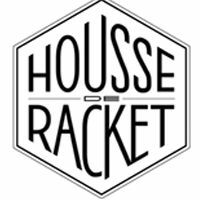 Inform me about the next events for Housse de Racket. Enroll yourself to our priority waiting list for Housse de Racket to be alerted when new tickets are available. Filling this form doesn't engage you to any purchase. Housse de Racket is coming to Montreal on March 23rd, 2012 for a concert at Il Motore. The electronic house duo from Paris gained major attention opening for Phoenix on tour. Housse de Racket will also be part of the Coachella Valley Music Festival in April.